Digital Rapids announces that sports media specialist PERFORM has deployed over 150 StreamZ Live encoders and the Digital Rapids Broadcast Manager multi-encoder automation software to power live streaming of thousands of premium sports events to viewers on an expanding range of devices and platforms. The StreamZ Live encoders are distributed across PERFORM facilities in the UK, Singapore, Australia, Korea, Abu Dhabi, Sweden, Doha and Italy. Each encoder generates 25 output profiles per input source for target viewing platforms including Apple iOS devices, Android-based devices and desktops. Streams are delivered across Akamai's Intelligent Platform and Mirror Image Internet's Dynamic Delivery Network. HTTP Live Streaming and Adobe HTTP Dynamic Streaming technologies are used for adaptive bit rate HD and mobile delivery, along with the RTMP protocol for low-latency streaming with Adobe Flash. The enterprise-class Broadcast Manager software is critical to PERFORM's operations, enabling them to efficiently manage and automate the large-scale deployment. Sky announces that its new internet TV service, offering access to Sky content on a wide range of broadband-connected devices, will be called NOW TV. The new brand was revealed this morning by Sky’s Chief Executive, Jeremy Darroch, as he delivered the opening keynote at the Media Guardian Changing Media Summit in London. Launching later this year, NOW TV will provide instant access to some of Sky’s most popular content, including hundreds of films from Sky Movies. With a distinctive look and identity, it will stand out from the existing Sky TV service and offer even more choice and flexibility to customers. Verimatrix announces that Serbia Broadband and Telemach have deployed the Verimatrix Video Content Authority System for Internet TV platform, to fuel new over-the-top video services and provide enhanced revenue security. SBB and Telemach's expanded OTT services are based on the HTTP Live Streaming standard delivery protocol, and features streaming over SBB and Telemach networks. HLS has been integrated on three different client platforms to date, including Android, PC/Mac and iOS with set-top boxes expected to be ready in the near future to support the launch of 60 live channels, 40 catch-up TV channels, and video-on-demand content. The service is currently available to the customers of SBB and Telemach, but this integrated solution will also enable these operators to offer their programming to communities outside their traditional cable footprint. ViXS Systems is showing off the latest version of the Opera TV browser on Android, and the Opera TV Store on Linux, optimized for the ViXS XCode 4210 platform, at the China Content Broadcasting Network in Beijing. The Opera TV Store is a complete HTML5-based store solution optimized for HD Ready TVs and a standard remote control, offering a selection of high quality TV apps. The Opera TV browser, optimized for ease of use and long-tail content on Linux and Android based TVs, set-top boxes and media-players, is built on Opera’s experience of bringing web browsing to 250 million mobile and PC-users. ViXS is showcasing Opera TV browser and the Opera TV Store running on VIXS-based devices at the CCBN, from March 21st — 23rd in Beijing. Visit ViXS’ booth in Hall 3, Booth #3602 in the China International Exhibition Center of Beijing for advanced demos. million mobile and PC-users. iTV.cn has just signed a cooperative agreement with Phoenix North America Chinese Channel, from which the two parties will jointly serve the Chinese people all over the world with their complementary advantages in content and platform. iTV.cn is invested and set up by UTStarcom, which puts out an internet TV platform servicing the whole world. It continues to explore new altitudes of TV experience, leads and represents the technology standard and service trend of intelligent TV. It is iTV.cn that first introduced multi-screen integration technology in the overseas Chinese market, which allows viewers to watch TV program through mobile devices such as TV, PC, iPad and iPhone. Phoenix has always made its purpose to "bring the Chinese people all over the world closer" and provided high-quality Chinese programs for Chinese people across the world. At present, Phoenix Television Corporation consists of Phoenix Chinese Channel, Phoenix InfoNews Channel, Phoenix Chinese News and Entertainment Channel, Phoenix North America Chinese Channel, Phoenix Movies Channel and Phoenix Hong Kong Channel. NXP Software has integrated Verimatrix ViewRight Web client security into the Android version of its LifeVibes QuickPlayer. ViewRight Web is a component of the Verimatrix Video Content Authority System, and its integration into QuickPlayer enables enhanced security for adaptive streaming content delivery on Android phones and tablets. This opens the door to new revenue streams for service providers such as broadcasters and IPTV providers to add premium (paid for) internet TV services. Octoshape announces a strategic partnership with leading software development company Craftwork, which specializes in solutions for the Digital TV industry. Over-the-top consumer offerings are rapidly evolving in the industry, bringing with them a host of challenges. Video quality, network capacity, profitable business models, and time to market concerns are each issues the industry faces everyday. Producing TV quality living room experiences on high-resolution devices is a clear milestone to reach in the industry. Broadcasters can now stream HD LIVE and VOD content on Facebook using TikiLIVE, Eyepartner’s flagship HD broadcasting service that provides its users with a comprehensive set of tools for producing and managing live HD streaming content. Facebook users click on the thumbnail of a channel or VOD’s posted link that will immediately launch the player inside the Facebook page. This free feature is included with all TikiLIVE white-label platforms. Broadcasting on Facebook is easy to do. The TikiLIVE broadcaster only has to create a channel, load a VOD, or create a Channel Manager lineup, and then paste the URL on their Facebook page. The Facebook user clicks the link which launches the embedded player. It’s that simple. Sky announces plans to launch a new service allowing customers to watch some of its most popular content over the internet. Taking advantage of the rapid growth in broadband-connected devices, and building on Sky's experience in multi-platform TV, the new service will be an additional choice for people who don't currently subscribe to a pay TV service. Launching in the first half of 2012, the new service will provide instant and simple access to a range of Sky content, including hundreds of films from Sky Movies. Giving consumers even more choice and flexibility, the service will be available to anyone in the UK with a broadband connection. For the first time ever, the NFL's Super Bowl will be streamed live online and via mobile phones, the NFL said Tuesday. Super Bowl 46 will be streamed online in addition to the two wild card playoff games on Jan. 7 and the Pro Bowl on Jan. 29. 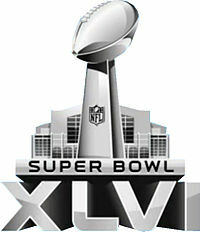 Super Bowl 46 will be held in Indianapolis on February 5, 2012 and is annually the most-watched television event of the year. The live TV streams will be available via both the NFL's and NBC's websites. Additionally, Verizon's NFL mobile app will also provide live streaming coverage of the game. According to the NFL, the Super Bowl's Internet TV live stream will offer multiple camera angles, in-game highlights, and live stats they currently offer via their current online options. The online TV streams also feature DVR controls so the user can create and watch instant replays at will. Limelight Networks announces that Limelight will provide digital content delivery services for TV Worldwide in a series of webcasts leading up to a national fundraising telethon event for the Vietnam Veterans Memorial Fund's Education Center. The event will take place live from The Wall on November 11, 2011 via VVMF TV, the new Internet TV Channel that TV Worldwide has developed for VVMF. TVWW leverages the Limelight Content Delivery Platform to support the webcast of numerous veterans and military events, including July 2011 fireworks and ceremonies at The Wall, the Vietnam Veterans Memorial. This work is a part of an ongoing joint public sector relationship between Limelight and TVWW, in which Limelight provides exclusive content delivery services for TV Worldwide's FedEd TV Internet TV channel for government agencies and contractors. FedEd TV features content for some of the 30 public sector agencies that TV Worldwide supports with Internet TV solutions, such as the Executive Office of the President. The Wall Street Journal has added some significant distribution outlets for their new WSJ Live interactive video service for live and on-demand programming from the WSJ Digital Network. The WSJ Live app is now available via Apple TV, Google TV and Roku. On-demand video from WSJ Live is also now available on Daily Motion. WSJ Live currently offers up to four total hours of live programming each business day -- including the News Hub, Lunch Break, Digits, Opinion Journal and more -- and more than 2,000 on-demand videos from across the company's network of sites. Burst Media has released the results of a new study covering online video content and advertising. The survey was conducted in early October, 2011 of 1,025 online U.S. adults aged 18 or older and revealed that 71.6% of web users overall watch online content in a typical week--and 39.0% of all viewers spend between one and five hours per week with online video. Men aged 18-34 are the heaviest consumers of online video content, with 19.7% saying they consume 10 or more hours of video on the web per week. Compared to standard display media on the web, viewers are more likely to interact and engage with online video. A relatively high number of all online viewers (18.2%) say they have taken an action based on what they saw within an online video advertisement--an action such as visiting the advertiser's website or making a purchase. One-quarter (24.1%) of men aged 35-54 say they have taken an action, as have 22.1% of women aged 35-54. At 26.3%, men aged 55 or older are the most likely group to take an action after viewing an online video ad. TV Worldwide announces it has entered into a strategic alliance with Limelight Networks to provide city, state and federal government with an expanded suite of cloud-based solutions for managing and delivering digital media, webcasting and other content . The agreement terms include Limelight’s selection as the exclusive Content Delivery Platform for TV Worldwide’s FedEd TV Internet TV channel for government agencies and contractors, which features content for some of the 30 public sector agencies TV Worldwide supports with Internet TV solutions, such as the Executive Office of the President. Sony Electronics announce a software update to the Google TV platform, which powers the unique entertainment experience found on Sony Internet TV powered by Google TV and the Sony Internet TV Blu-ray Disc player. This latest version not only powers existing Google TV features, but also adds the Android Market for apps, which at launch includes hundreds of apps, including many designed and optimized for television. This update will roll out to all connected Sony Internet TV devices by early next week. Sony released the world's first TV based on the Google TV platform in the U.S. last October - today's update brings a simpler and clean interface, improved performance, better search functionality and the Android Market to all currently installed Sony Internet TV and Sony Internet TV Blu-ray owners. Additionally, future consumers of Sony Internet TVs and Blu-ray Disc players will receive the update during the initial start-up installation. Other new benefits include better integration with Android™ and iOS devices, like smartphones and tablets.